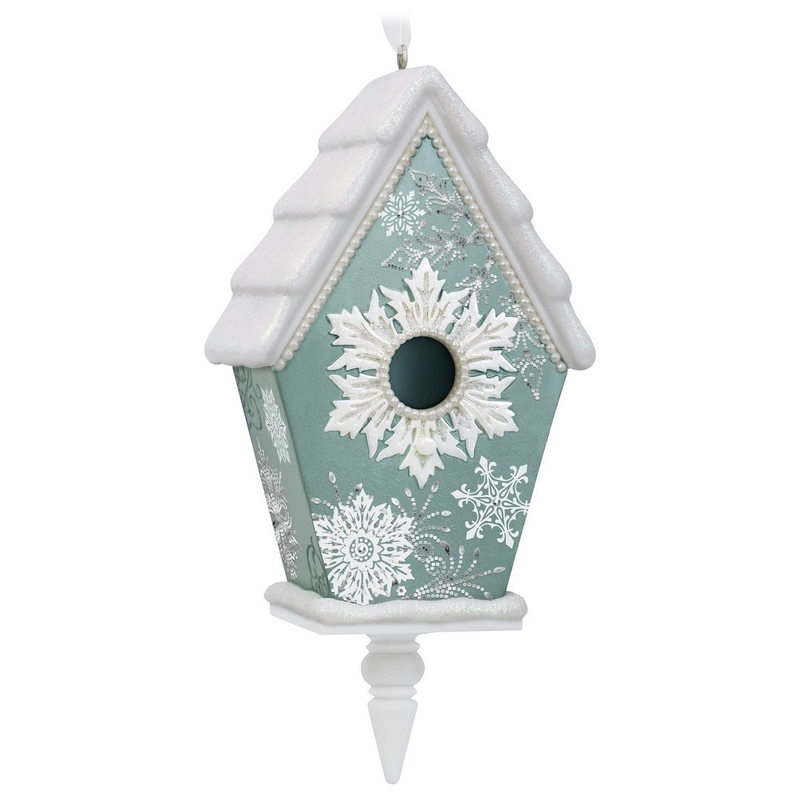 Each ornament in this new series will feature a delightfully different birdhouse design. The first birdhouse is painted a winter blue and decorated with snowflakes. Size: 2.56" x 5.24" x 1.56"